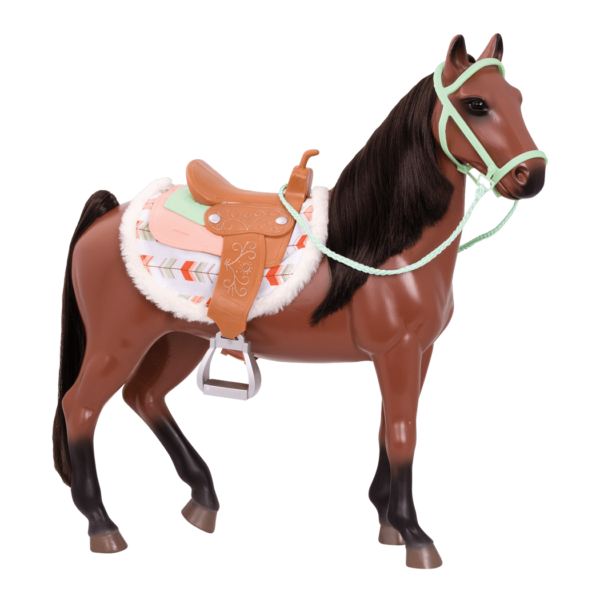 Ride into adventure with this beautiful 20-inch toy horse! Saddle up in style for a ride into imagination with the Our Generation 20-inch Bay Horse! 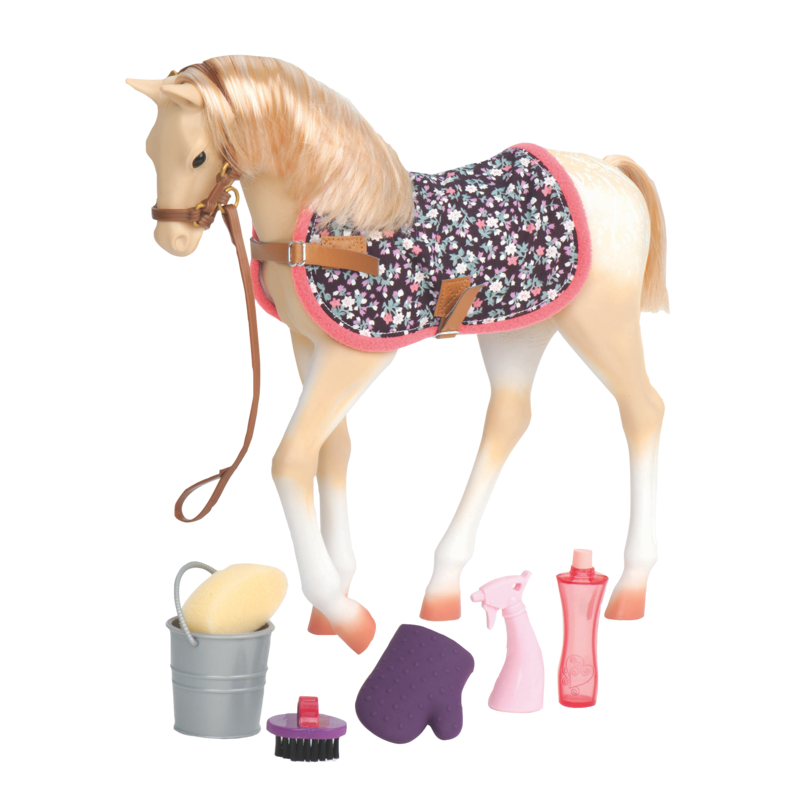 This beautiful Bay horse is the perfect size for 18-inch dolls looking for equestrian fun. From the wild west to the cool corral, this horse will take you there in style! 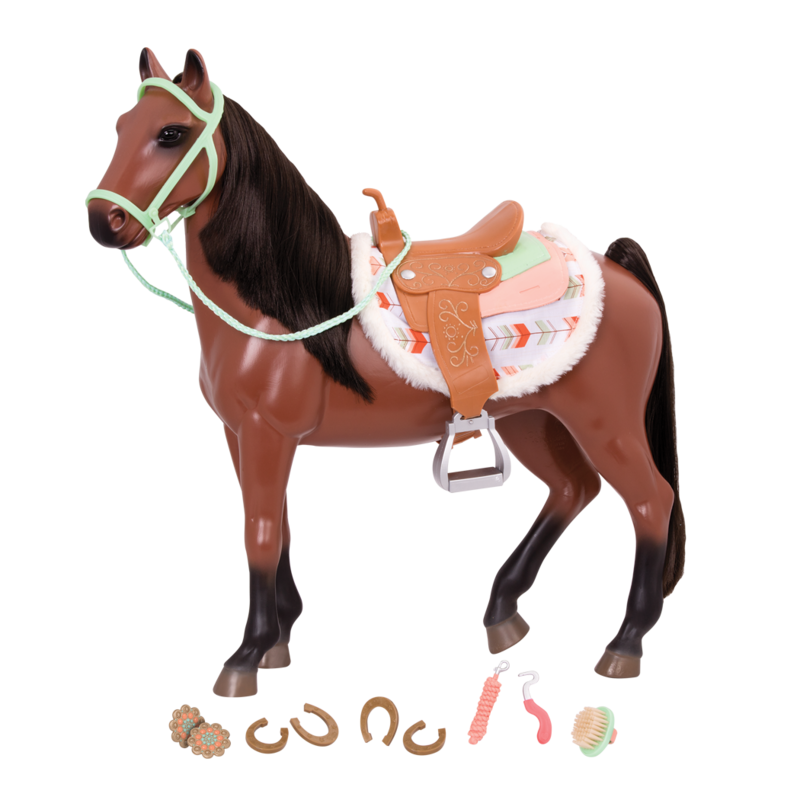 This lovely toy horse has a brown body, black points, and a silky black mane and tail that are fun to brush and style. Prep your pony pal for a ride with the deluxe chevron-print saddle pad with a fluffy trim, and a gorgeous saddle with metallic scrollwork embellishments. The mint-green bridle and reins will have your Bay horse ready to ride! Add a little extra glamour to your horse’s style with the pretty bridle decorations. Accessories like the rope tether, hoof pick, extra horseshoes and curry brush will help you take great care of your horse before and after your trail ride. Have you met Coral, the doll in the pictures of the Bay Horse? When Coral isn’t saddling up her horse for an equestrian adventure, she loves learning to surf! Her storybook “Stuck in the Middle of Knowhere” tells all about her adventures on an island! 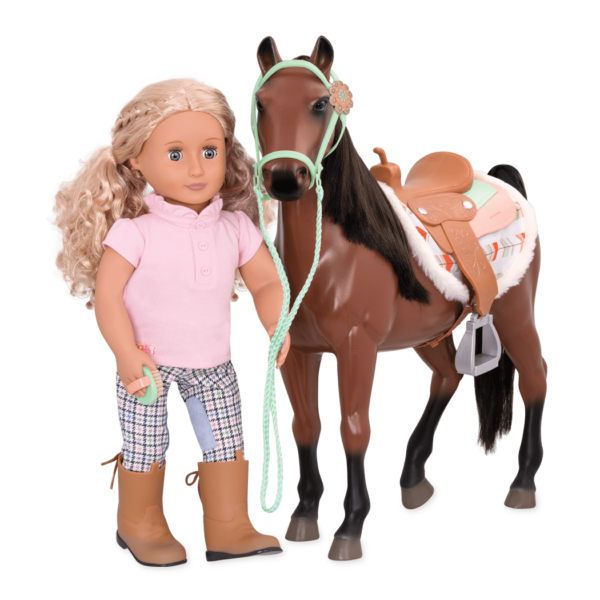 Dress your dolls in a great look for their next ride with the Riding In Style equestrian outfit featuring a pair of jodhpur riding pants and a helmet for your dolls. Horses need to eat a lot after they go for a long, fun ride. Take great care of your horses with the Hay and Neigh Horse Care Set. 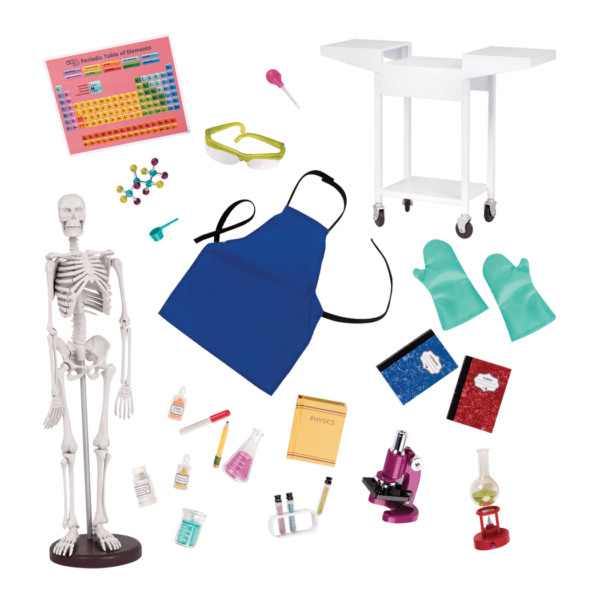 This toy horse accessory set includes a hale bale, pitchfork, and more! 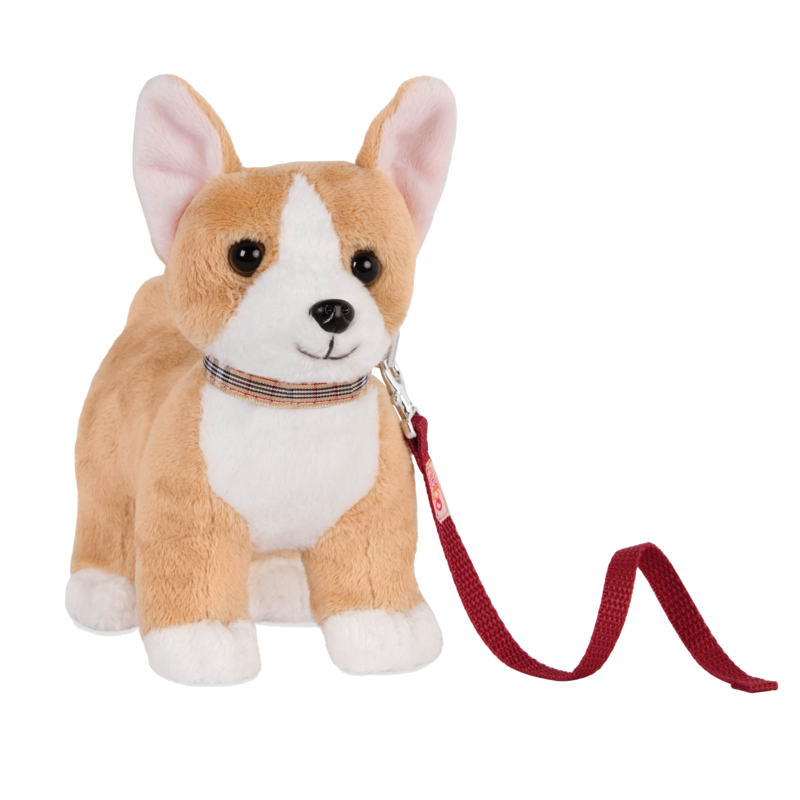 **Note: Name change to improve breed accuracy – package may refer to "Buckskin"
thanks for the info I will definitly check it out! do you sell saddles by themselves? 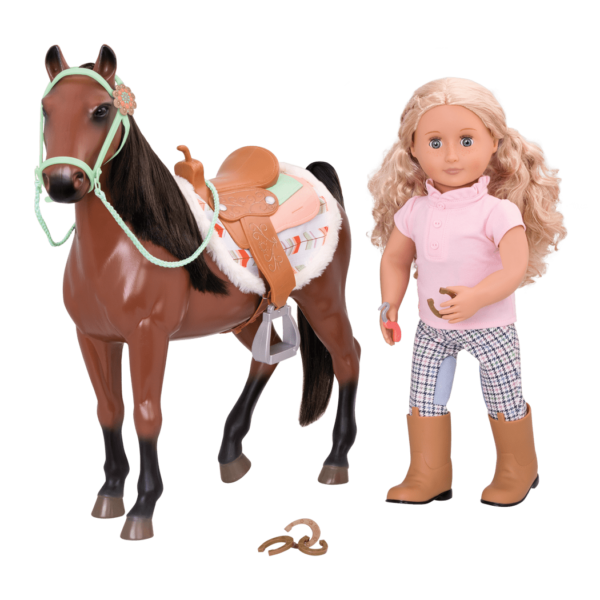 I love the saddles but I bought a American girl doll horse and I am shopping for a saddle. Are your saddles the same size as american girl saddles? I cant find single saddles on the AGD website so I am shopping by you so please get back to me soon or other viewers who have experience I am open to help!!!! As long as AG horses are similar in size, Our Generation saddles should fit on them. We hope this helps, and have fun playing with your horses! ok thank you so much! it is comforting to know that our generation actually reads and knows and cares what their viewers had to say. I love how beautifull this horse is. I think the teal color choice was the perfect pick! I have a amarican girl doll and I think these horses are jusdt as good-if not better -as the amarican girl doll horses. I love that the amarican girl dolls fit on the horses!keep up the good work! I realy like how well the green goes with the horse. Im a little worried to buy it because of the stars but I’m not worried about it looking authentic or anything! This horse is not buckskin at all. Trust me, I own a buckskin. I’ll even send you pictures of him. This is just awful to look at when you are a true equestrian. You’re right again, Robyn! 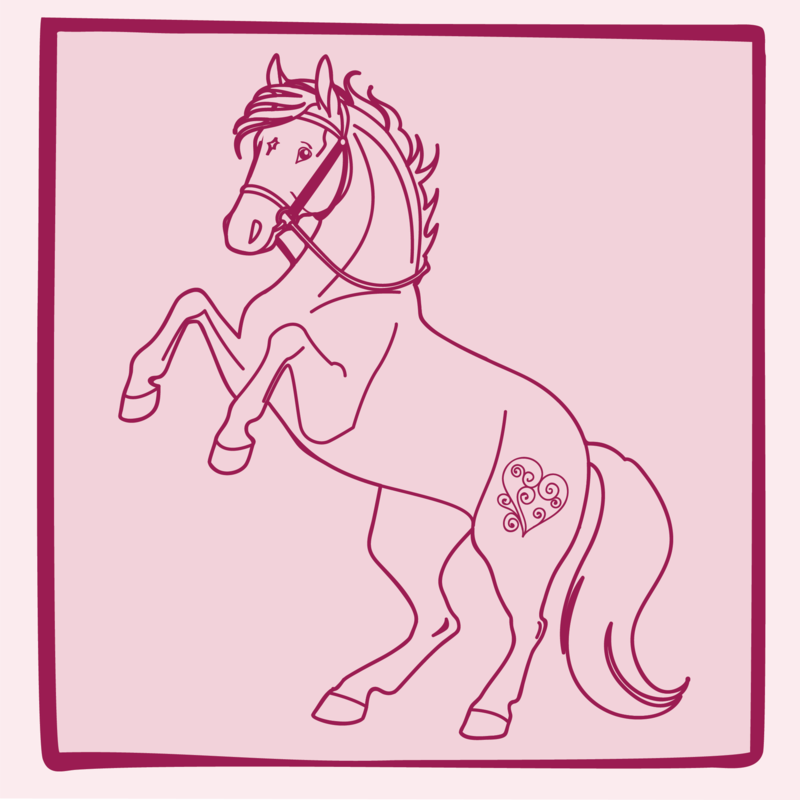 We are changing the name to “Bay Horse”, we hope that’s better!